Though A Game of Thrones frequently explores the darker side of human nature, as well as the many failings of those in power, the most recent episode, “Breaker of Chains”, offers an interesting discussion on the qualities of a good leader. 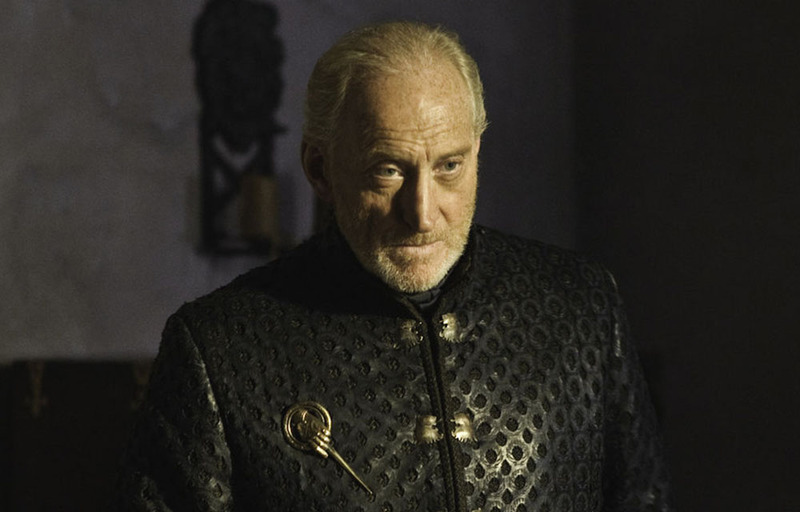 Engaging his grandson in Socratic questioning, Tywin Lannister asks “But what makes a good king?” Holiness? Justice? Strength? Each is analyzed and discarded until young Tommen grasps the answer: wisdom. Tywin’s definition of a good leader is not the most noble or powerful, but the one who listens to others. The irony of course lies in the fact that each of the leaders in George R.R. Martin’s world most often demonstrate precisely the opposite. I love the exploration of these themes in fantasy fiction. Having been read Tolkien while still in the womb, I devoured the trilogy before I was ten and graduated to a long list of other authors, including Brooks, Eddings, Feist, Jordan and many more. But Martin is different. Traditional fantasy, though occasionally touching on the darker sides of human nature, rarely explored it in such depth. He has no such compunction. Flaws drive his characters, whether simple arrogance or monstrous acts that few of us would even dream of committing. While the lords and ladies of his world may have the best of intentions at times, these deficiencies ultimately destroy their plans – and they certainly do not demonstrate the wisdom lauded by Tywin. Several of the characters, most notably Joffrey, simply shouldn’t even be considered leaders in the traditional sense. With psychoses that would land them in an asylum or prison, they are tyrants on par with the Hitlers and Stalins of our world. A second group comprises drunkards and lechers, including Robert Baratheon. Though undoubtedly powerful in some cases, it’s hard to imagine that they would be able to maintain their roles for long, at least not with any degree of success. Both of these groups form the individuals who live in their own worlds–a disconnection from others that inevitably leads to failure. A more interesting group includes the ambiguous leaders who may reveal significant flaws, but have also developed the acumen to succeed in a highly competitive, and even deadly, world of intrigue. Littlefinger and the Lannister family–for all their cold ambition and questionable ethics–quite often appear to maintain an upper hand over all others. But what drives their success? More to the point, is it because of that lack of morality, or in spite of it? Tellingly, these individuals single-mindedly pursue their goals at the expense of others, disregarding the advice of even their most trusted confidantes. In that case who in Martin’s world most closely embrace the leadership insights that Tywin identifies? One in particular comes to mind: Eddard Stark. Though he encounters an unfortunate end, he reveals integrity and a collaborative mindset that nearly every other leader in the series lacks. His death actually served to highlight just how out of place he was among the scheming lords of Westeros. If any character of Martin’s could be said to be a true leader, one who inspired others to be better, Eddard would undoubtedly be first on the list. What sets both him and the Stark family apart in the series is not simply their integrity, but also the commitment they have toward fostering that value in others. Their followers in turn demonstrate a loyalty that few other leaders can inspire. Though in Martin’s dark tale their values lead to ill-fated consequences, we thankfully live in a world in which doing the right thing usually won’t end with our heads rolling. If we want to better ourselves and inspire others to do the same, perhaps siding with the Starks is not such a dismal prospect after all.